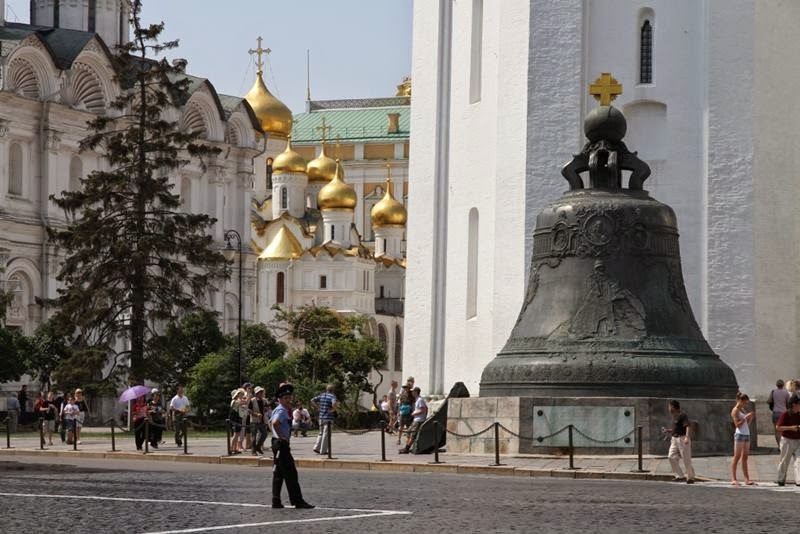 The Tsar Bell also known as the Tsarsky Kolokol, Tsar Kolokol III, or Royal Bell on display on the grounds of the Moscow Kremlin. 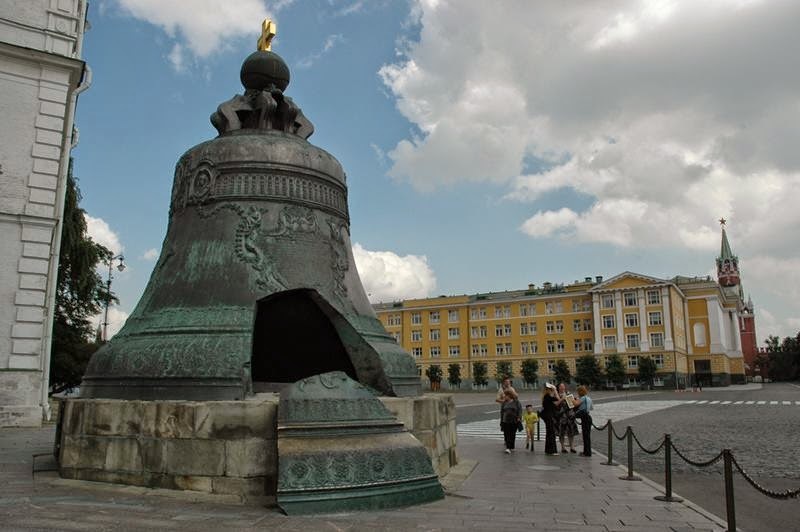 Tsar Bell is one of the most prominent and famous monuments of art foundry in Russia. It's the biggest bell in the world. 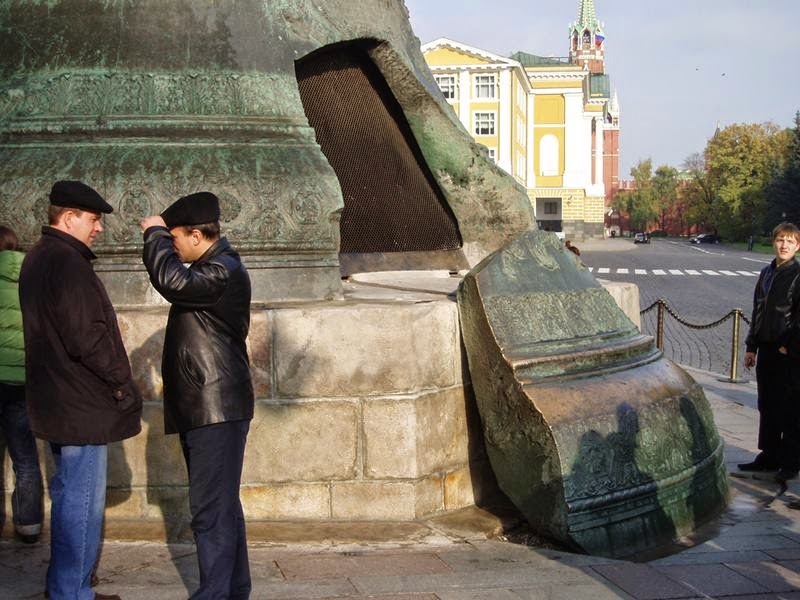 It weighs about 200 tons, but no one has ever heard its ringing. 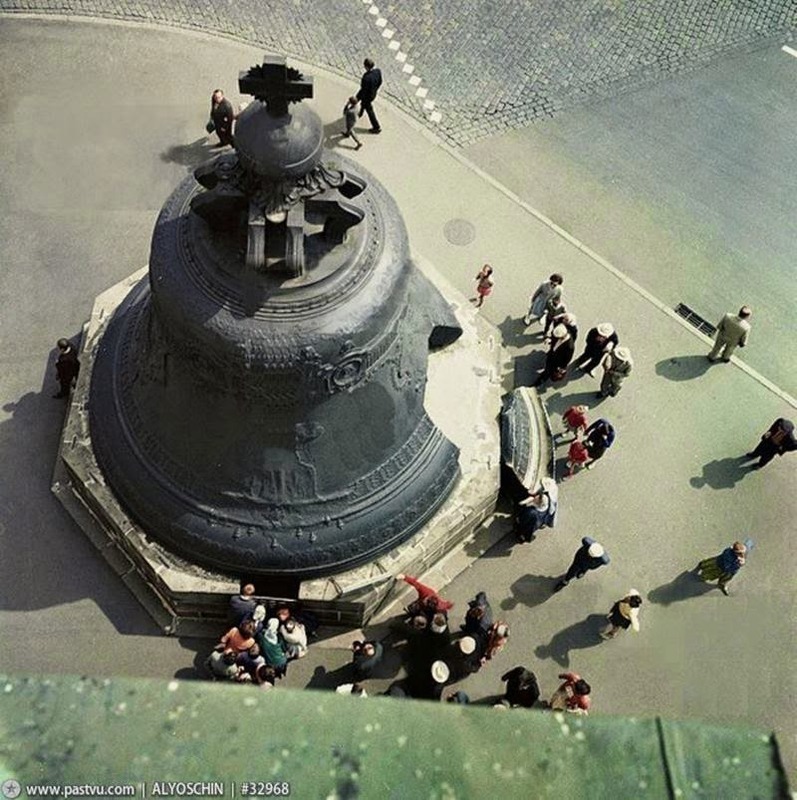 The bell was broken during a big fire and it was never lifted on a bell tower. The diameter of 6.6 meters and height of 6.14 meters. It was founded from bronze by masters Ivan Motorin and his son Mikhail in 1733–1735. Ornaments, portraits, and inscriptions were made by V. Kobelev, P. Galkin, P. Kokhtev, P. Serebryakov and P. Lukovnikov. 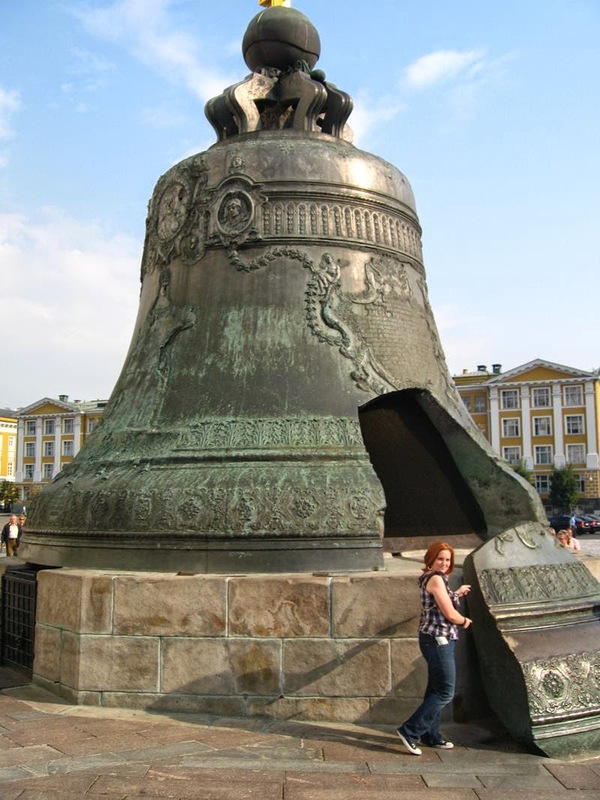 The bell was never rung — during a fire in 1737. 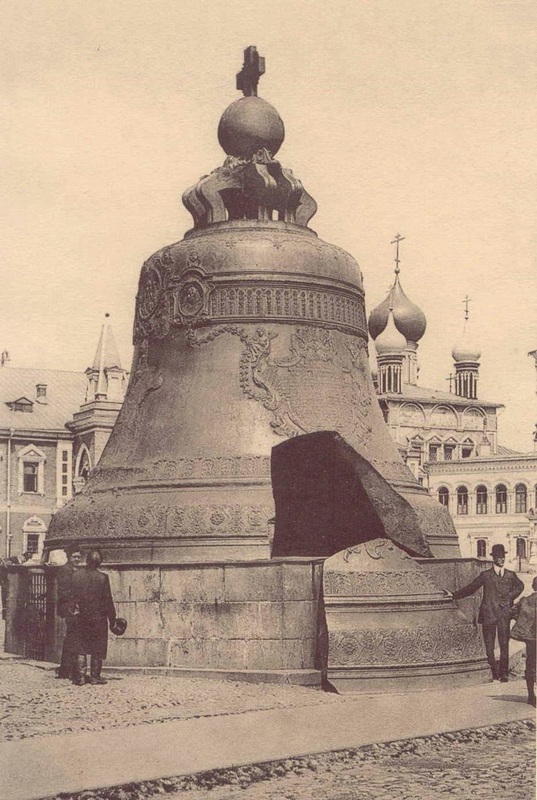 After the fire, the bell remained in its casting for a century. 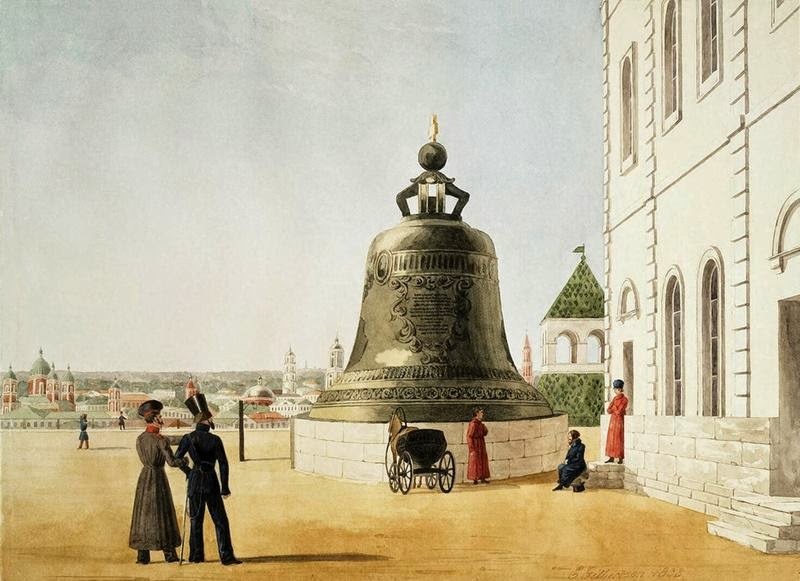 In 1836, the Tsar bell was placed on a stone pedestal next to the Ivan the Great Bell Tower in the Moscow Kremlin. The slab is nearly three times larger than the world's largest bell hung for full circle ringing, the tenor bell at Liverpool Cathedral. However, recent studies have questioned the fact that the bell is made of plastic bronze bell could split during a fire and suggest that cracks have arisen because of the violations in technology (the cooling after casting the bell could be left on the rod and cracked-out for crimping), and the fire could be a convenient excuse. 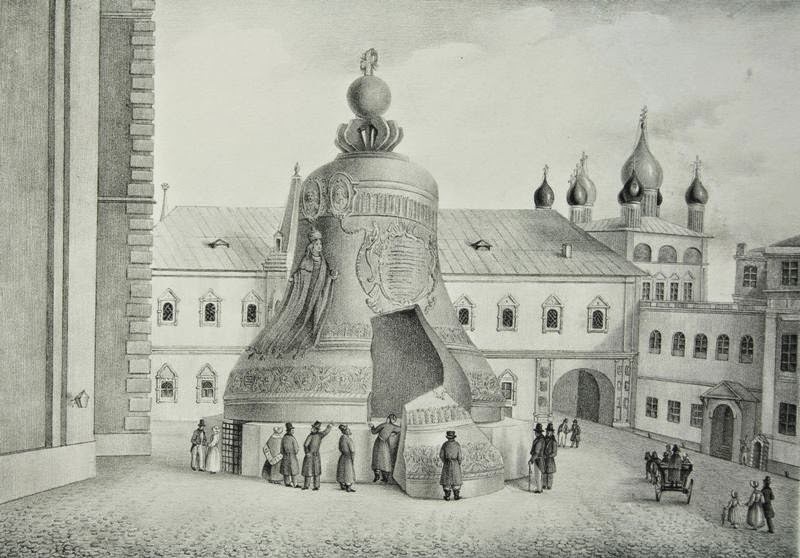 This version says that in 1736 MOTORIN receives casting Tsar Bell just 1,000 rubles and rank tsehmeystera casting Affairs "for their efforts and for updates bell plant," suffered from a fire. 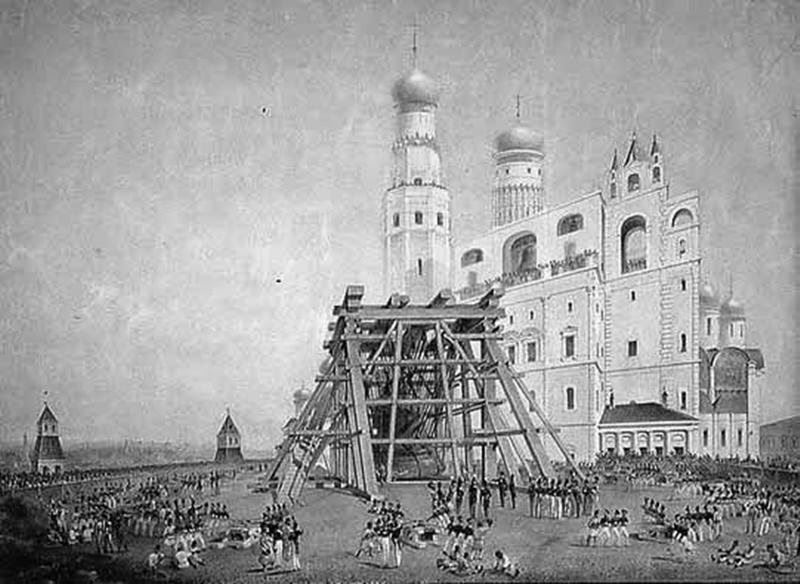 And later for casting bells for the Novodevichy Convent and the Trinity-Sergius Lavra he asks 8000 rubles for the bell. After 1737 there were several attempts to retrieve the bell from the pit, but they all ended in failure. Only in 1836 coped with this task of the architect Auguste Montferrand France. He drafted a lift and stone pedestal to install a bell on it. As a result of this work of art foundry sample taken out of the pit and set on an octagonal pedestal. 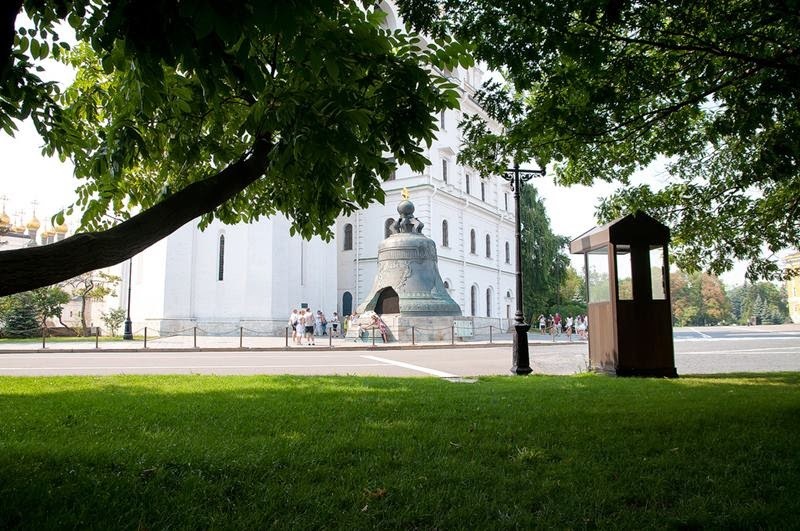 The bell can see the images of saints, portraits of Tsar Alexei Mikhailovich and Empress Anna Ivanovna, as well as many inscriptions relating to the history of the bell. 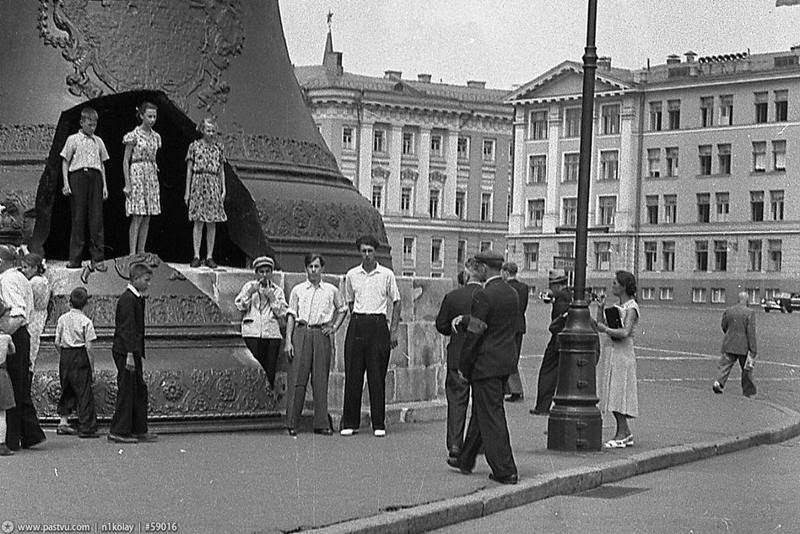 Tsar Bell. XIX century. Photo Scherer Nabgolts and co.